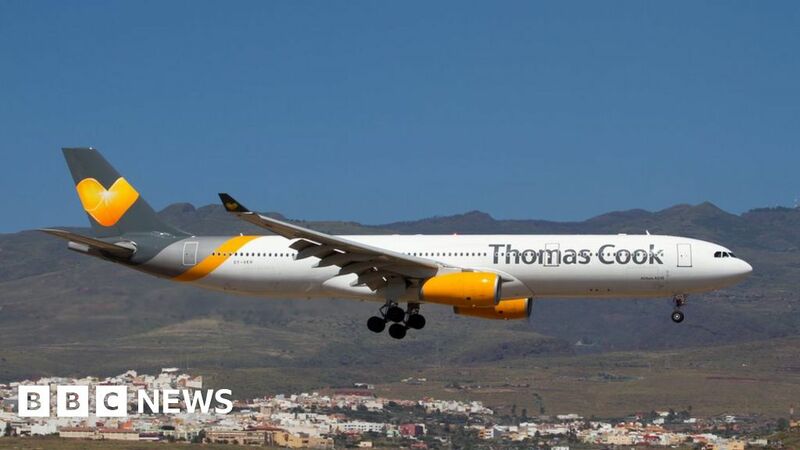 Thomas Cook has said it is conducting a “strategic review” of its airline as it seeks to find funds to invest more in its hotels business. The firm stressed the review was at an early stage, but would consider “all options” including a sale. The company’s fleet of 103 jets is a mix of planes it owns and leases. Airlines across Europe are struggling amid fierce competition. Budget airline Germania has filed for bankruptcy and Flybe needed rescuing last month. In contrast, Thomas Cook’s airline is largely profitable. It made earnings before financing costs and tax of £129m last year, although it reported a loss in the last three months of 2018. The company said it needed “greater financial flexibility and increased resources” to invest in its own-brand hotels. The company wants more control over its hotels to make them more customisable, it says.